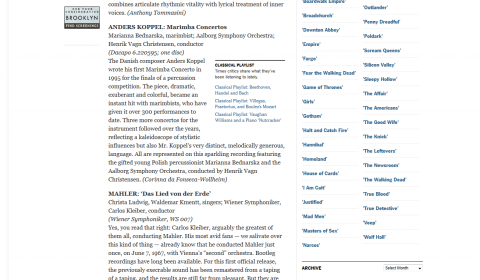 November 2018 marks the 100th anniversary of Polish independence. 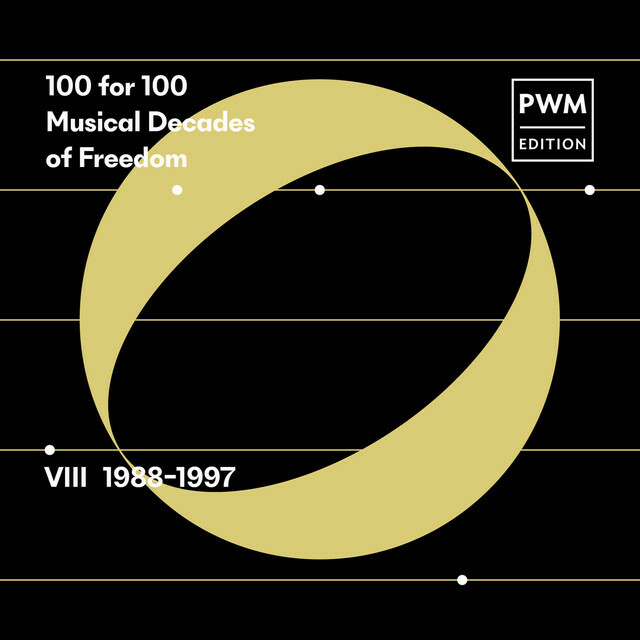 In honor of this national celebration, PWM Edition presents ‘100 for 100. 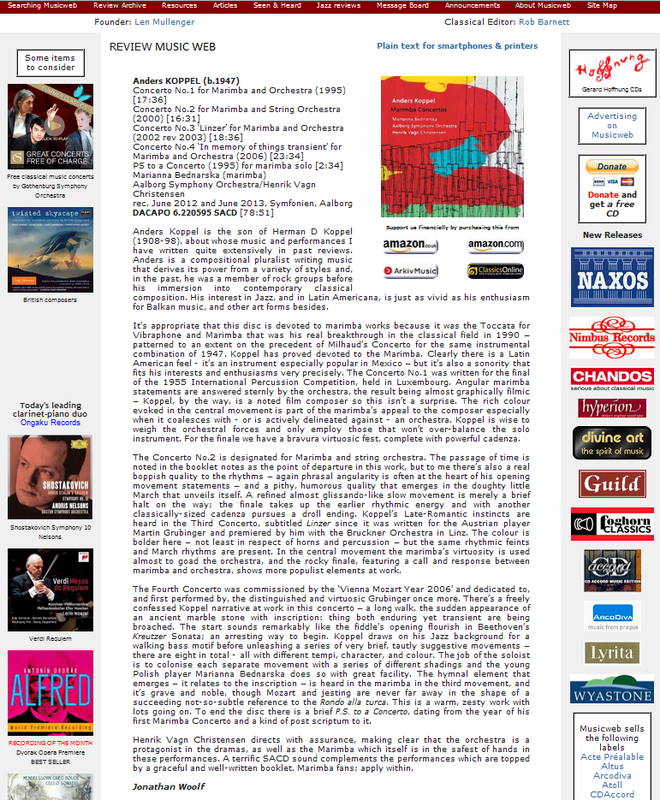 Musical Decades of Freedom’, a project which, besides its artistic dimension, is of historical promotional and educational importance for Poland, allowing audiences around the world to become acquainted with a representative sample of music written by Polish composers over the last 100 years. 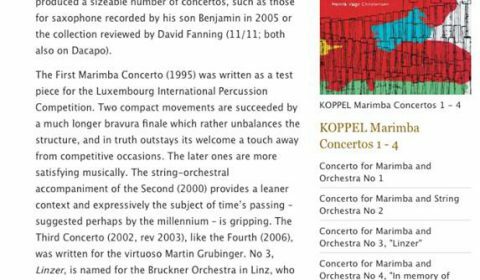 Highlights of the ‘100 for 100’ project include a CD box set titled ‘100 for 100’, comprising 100 pieces on 36 CDs, plus 10 “Decade Booklets” containing composer profiles and information about the presented work. 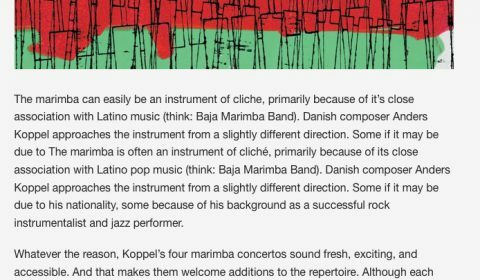 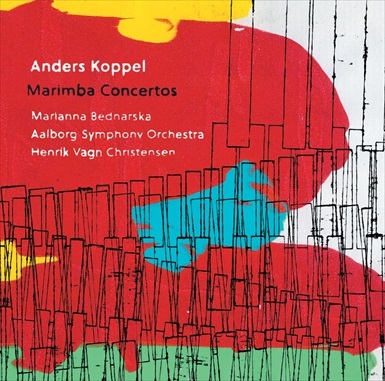 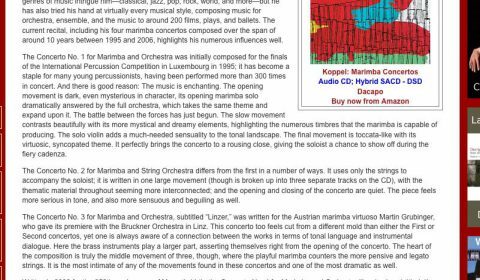 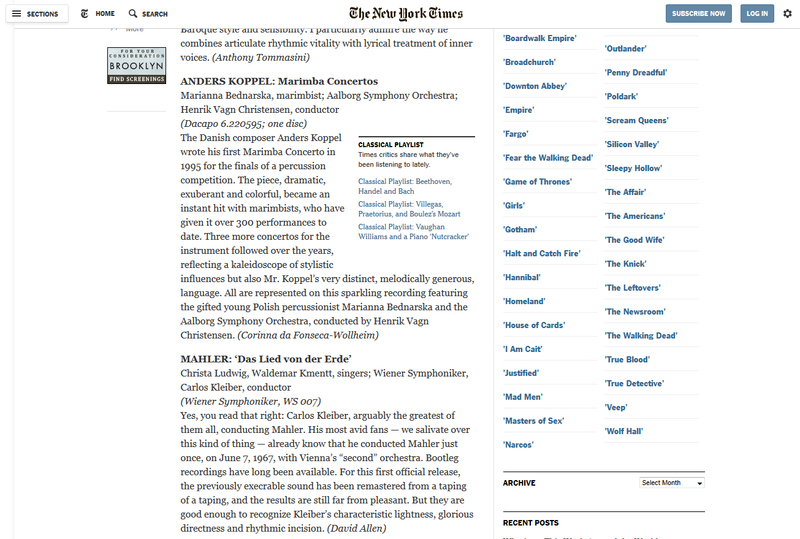 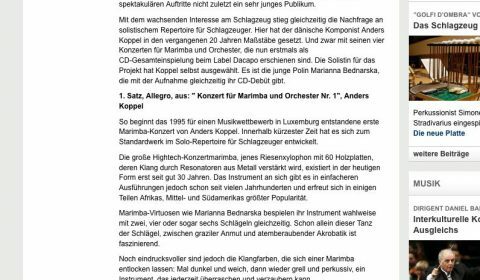 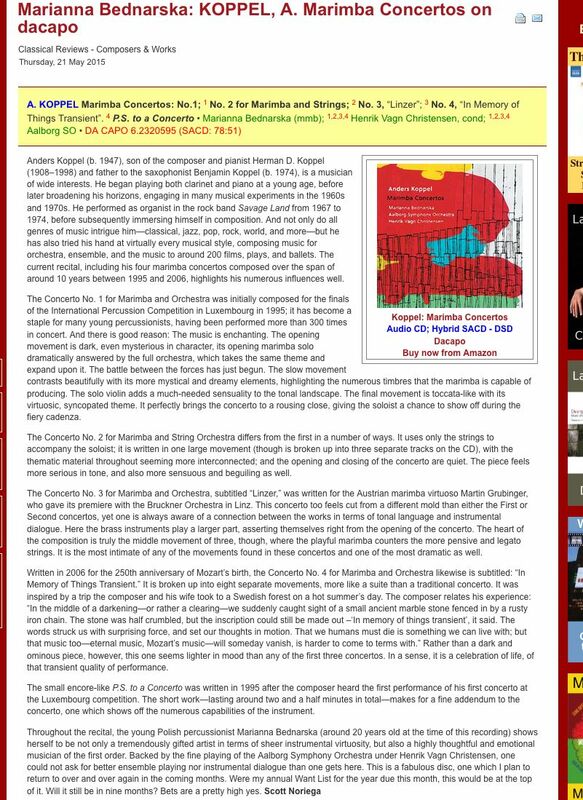 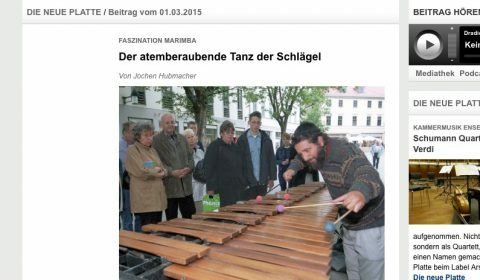 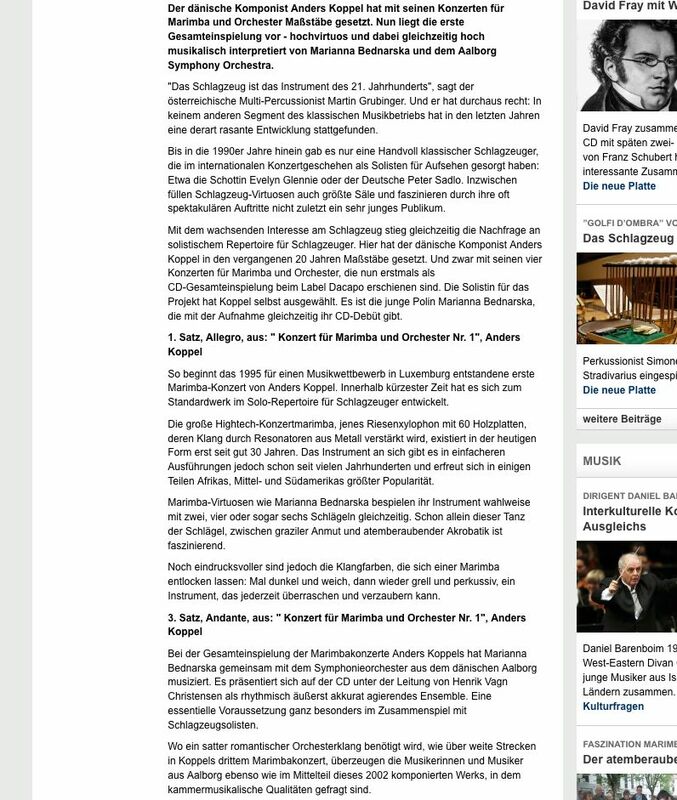 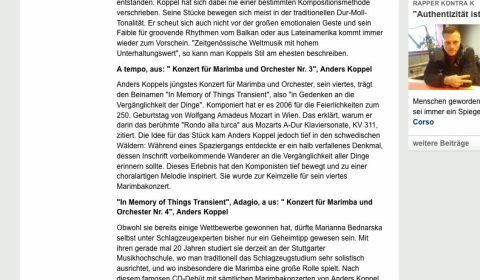 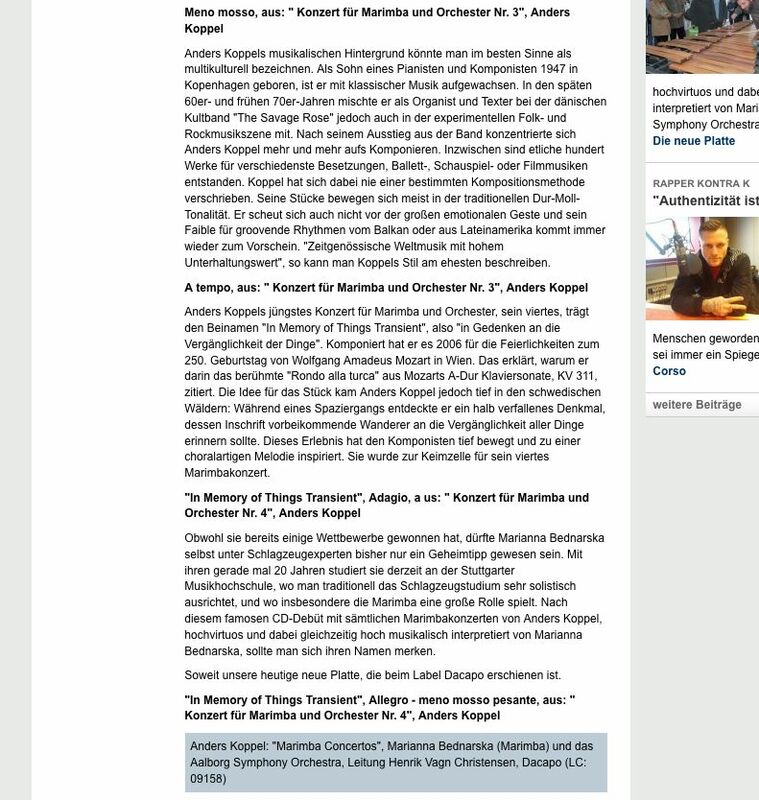 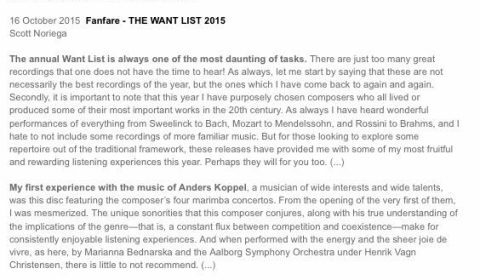 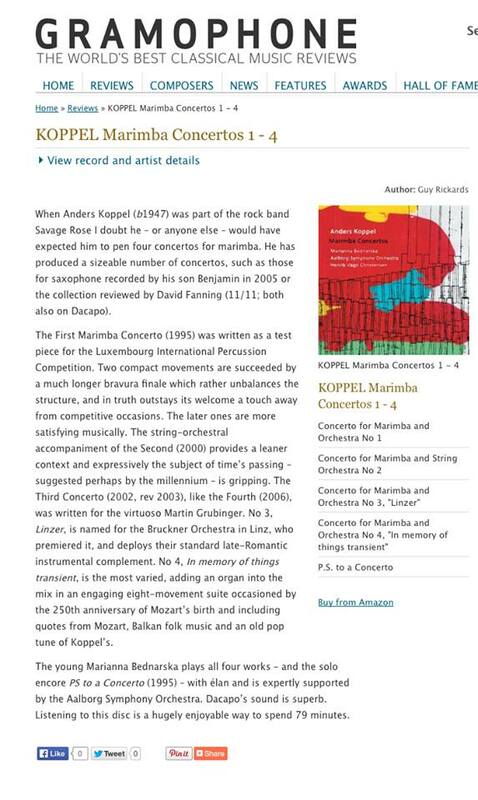 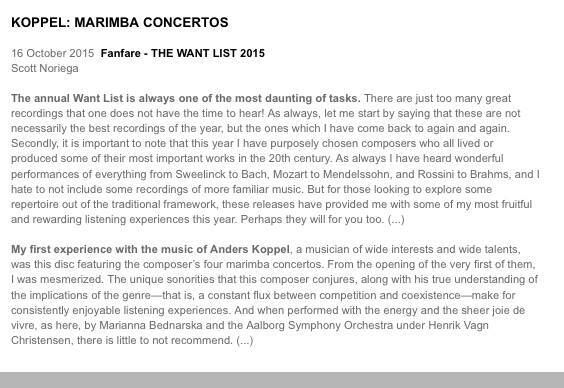 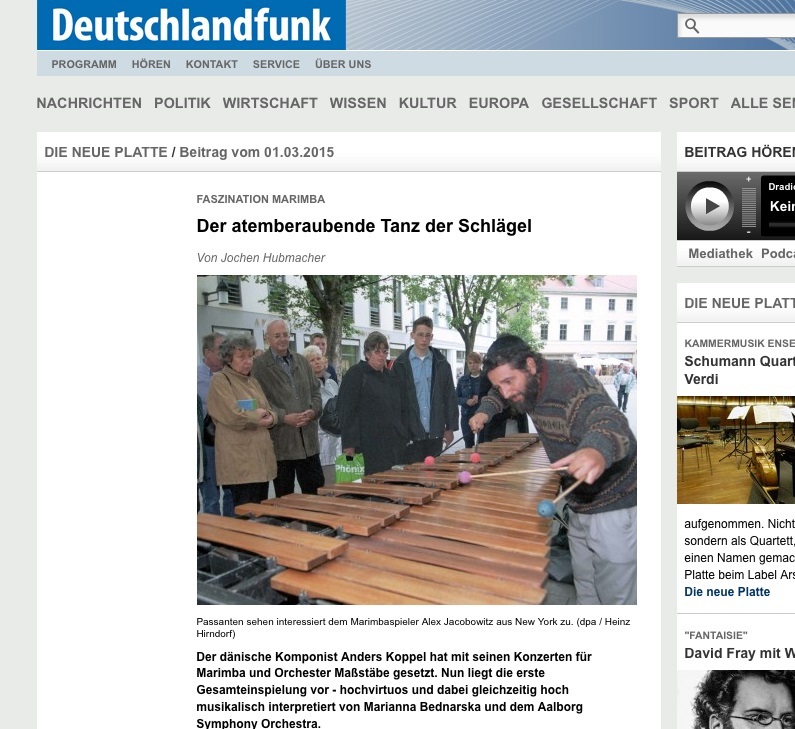 With his four concertos for marimba the Danish composer Anders Koppel (b. 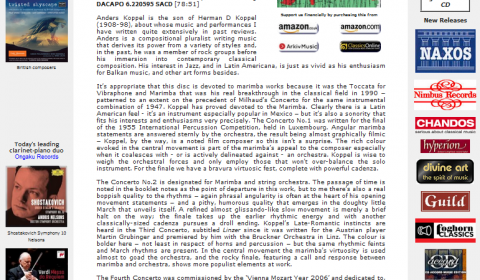 1947) has played a crucial role for the development of a concert repertoire for this distinctive instrument. 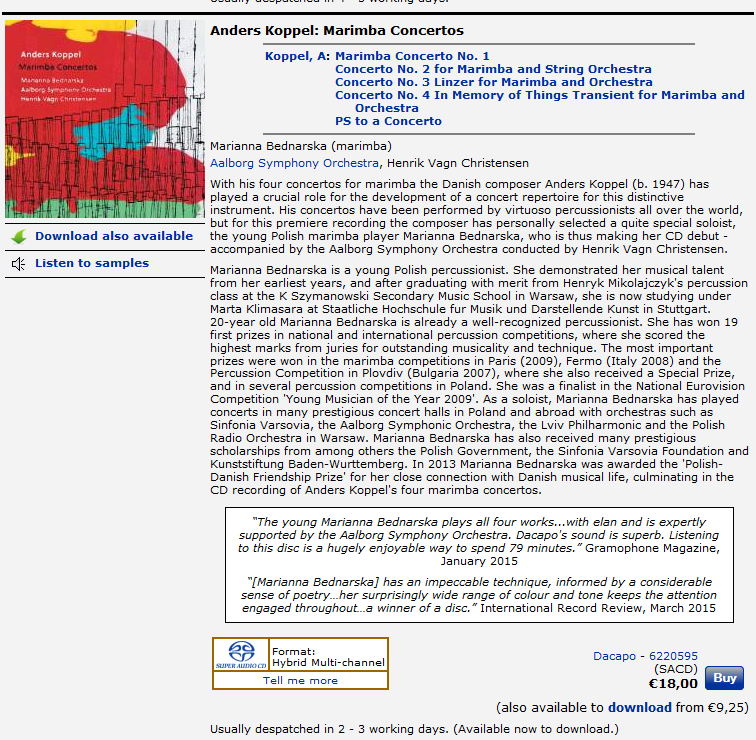 His concertos have been performed by virtuoso percussionists all over the world, but for this premiere recording the composer has personally selected a quite special soloist, the young Polish marimba player Marianna Bednarska, who is thus making her CD debut – accompanied by the Aalborg Symphony Orchestra conducted by Henrik Vagn Christensen.